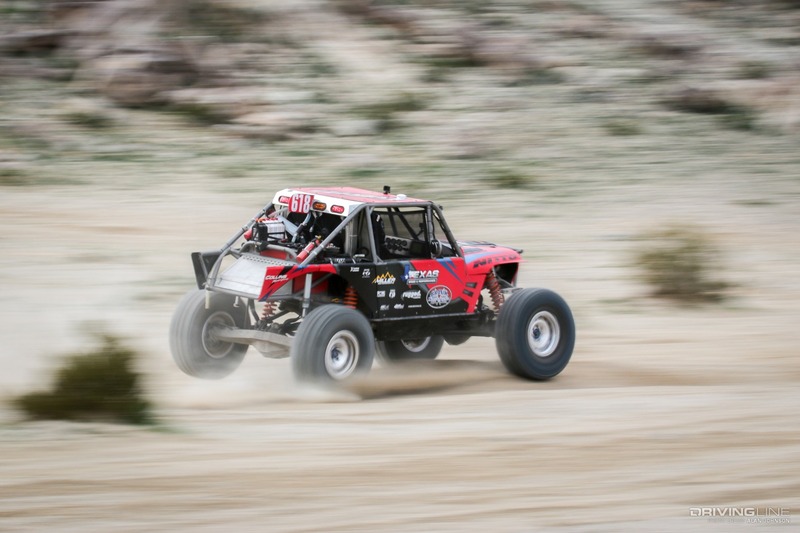 Team Nitto driver Casey Gilbert locked up his 2nd 4WP Everyman Challenge 4800 legends class victory and his 1st overall race victory during the 2019 Nitto Tire King of the Hammers week. 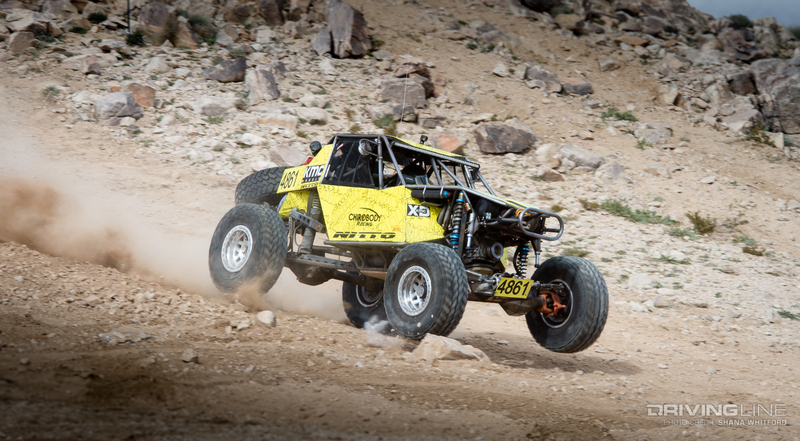 Fellow team Nitto driver Jimmy Jack notched his 1st 4500 modified class victory, edging out 2nd place by a mere 3 seconds! 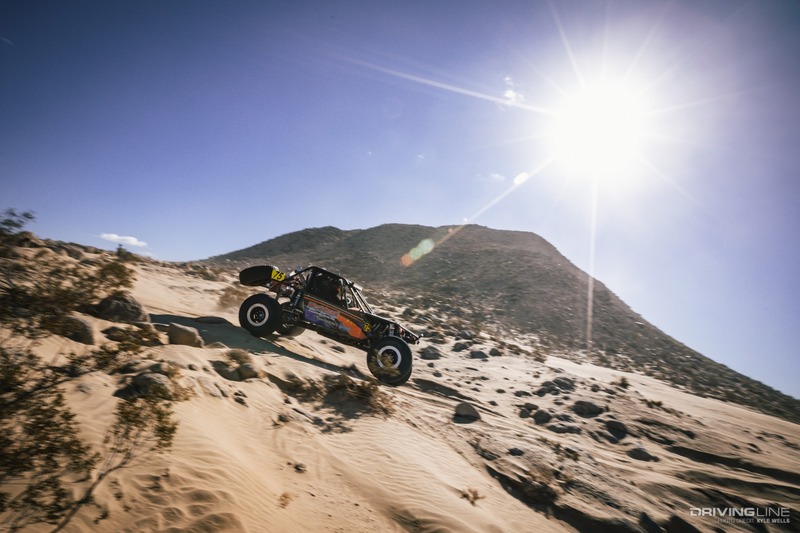 King of the Hammers and the EMC are intense, hyper-focused events that will drain every bit of energy from you while demanding your best performance. Seeing the checkered flag while in first place, however, will make all of that weariness drop away with a flood of relief and joy. 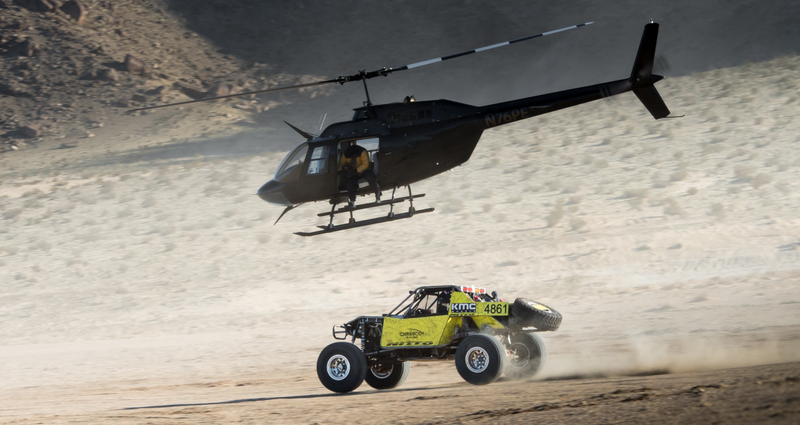 The Everyman Challenge is made up of 3 classes: the 4800 Legends class, the 4500 Modified class, and the 4600 Stock class. Each class has rules for tire size, number of shocks, and what modifications can or cannot be made to the body of the car. Qualifying for the EMC is not mandatory, but those who choose to pay and do so get to start in front of those who do not. While it is a long race, the chance of getting caught up in a traffic jam on Jack North is real, so qualifying has its benefits. 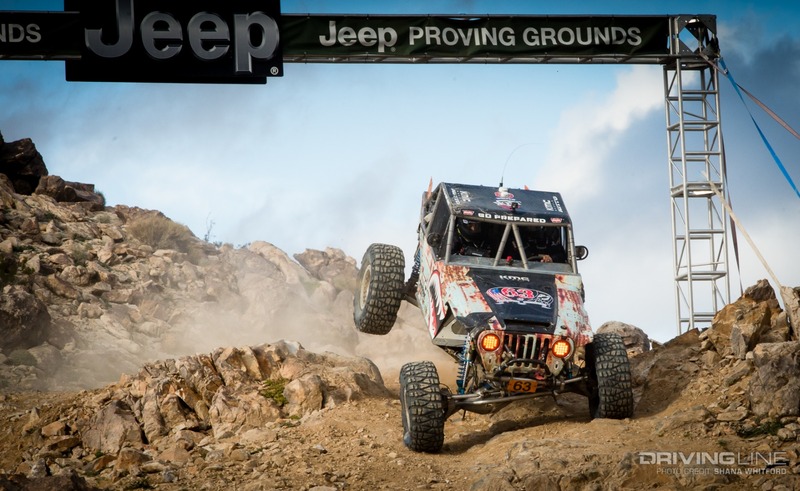 The qualifying course this year consisted of a sprint around the infield short course, a dash out to the desert, up Short Bus, through the Jeep arch, and back to the start finish. Roughly 1.6 miles, the stock class vehicles were allowed to bypass a rock saddle that challenged cars all day. 112 of the 143 cars racing the EMC elected to qualify and when it was their turn, cars ripped through Hammertown in the race to be first. Casey Gilbert laid down the fastest time of the day and took the pole for the big event. A surprise qualifier was the as-of-yet unreleased 2020 Jeep Gladiator. 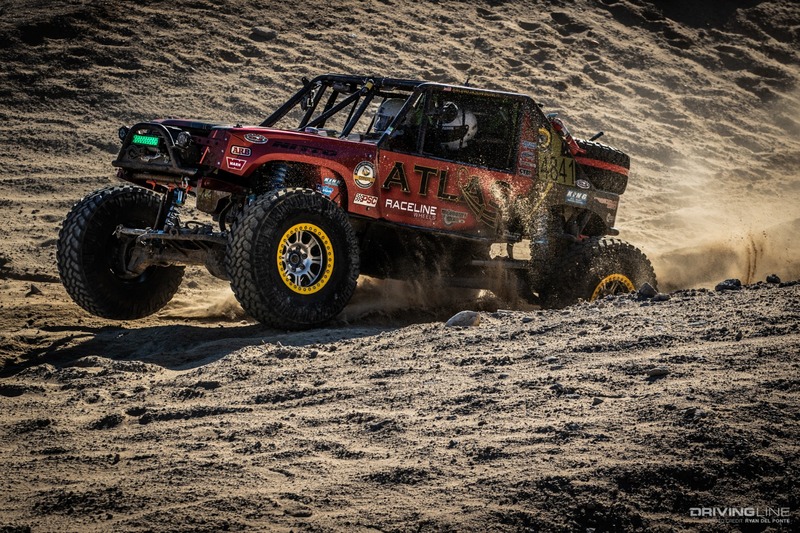 Two weeks prior to the King of the Hammers starting, Jeep sent a Gladiator to Savvy Offroad to prep for the race. 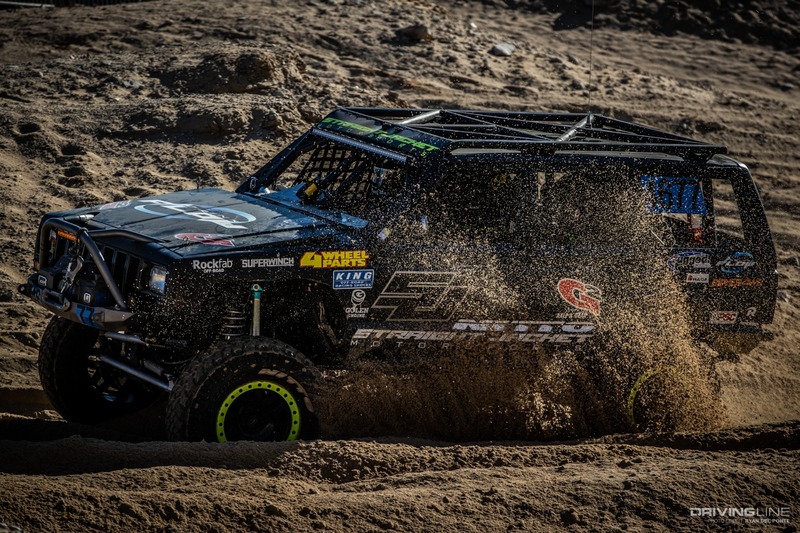 Team Nitto driver and two-time King Erik Miller piloted the truck on its maiden voyage, taking the pole position in the stock class. Race morning arrived and the sun rose bright and strong, but with little warmth. Temperatures were hovering just below freezing and a 10 to 15 mile an hour wind (that seemed straight from the Artic) was stiffly blowing across the valley. Cars lined up in a serpentine parade through Hammertown as the race marshal sent them off the line, two by two, every thirty seconds. The course was the longest yet for an EMC at 162 miles. While all cars raced together, the competition was just between classes for a placing win. The opening desert loop was 91 miles while the hard-core Hammers loop was an additional 71 miles of the worst terrain on the planet. The race started at 8 AM and closed at 6 PM. The EMC is an adjusted time race, so all racers are allowed 10 hours of racing. Those off the line at 8:30 would have until 6:30 to finish. Coming off the line hot, Casey Gilbert and Levi Shirley set the tone from the start. Watching them from over 80 places deeper in the field, was team Nitto driver Bailey Cole. Bailey lost a motor prior to qualifying and would take a rear start. Before the first lakebed, however, Levi Shirley had his car out in front and was showing why he is one of the top drivers in the sport. Casey and Levi represent different ends of the spectrum with Levi running the EMC as a race speed pre-run for KOH and Casey pushing his car for a 2nd straight class victory after a very impressive 2018 season that resulted in a National Points victory. Levi’s experience and KOH knowledge helped put him in the lead early. Coming out of the desert and into the rocks, Levi and Casey had left most of the field behind. Pushing each other hard, Levi’s day ended in Jack North as he lost his transmission. The class act driver that he is, Levi helped other cars winch their way through Jack—as only a fellow competitor is allowed to help other competitors. KOH is a no chase/no outside assistance race. About an hour into helping others, Levi’s co-driver discovered the issue and the team was back rolling again. Too far behind to now contend for a victory, he was still able to finish in time and he accomplished his goal of a race pace pre-run for Friday’s big event. With Levi out of contention, it left some familiar faces leading the pack. 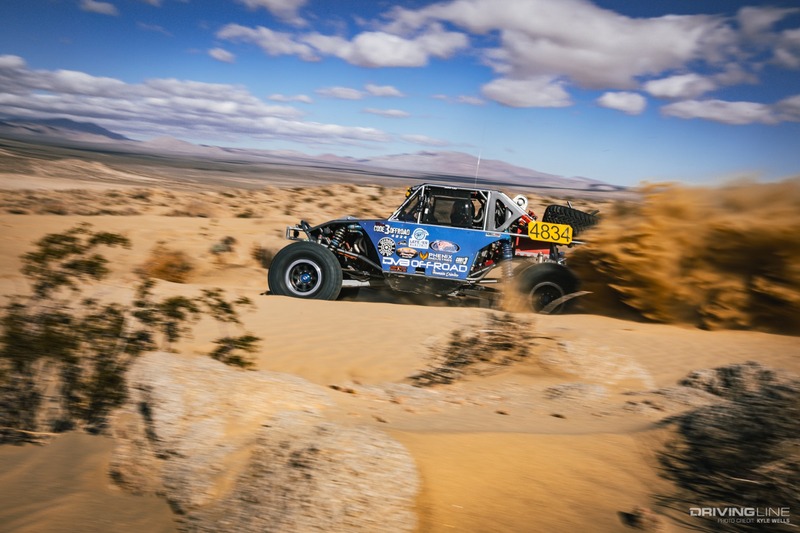 Former winner of the 4800 class Brad Lovell had his AMSOIL machine in peak condition and was putting pressure on Casey for the win—but as the cars crossed the line, Casey’s lead was just too big to overcome. 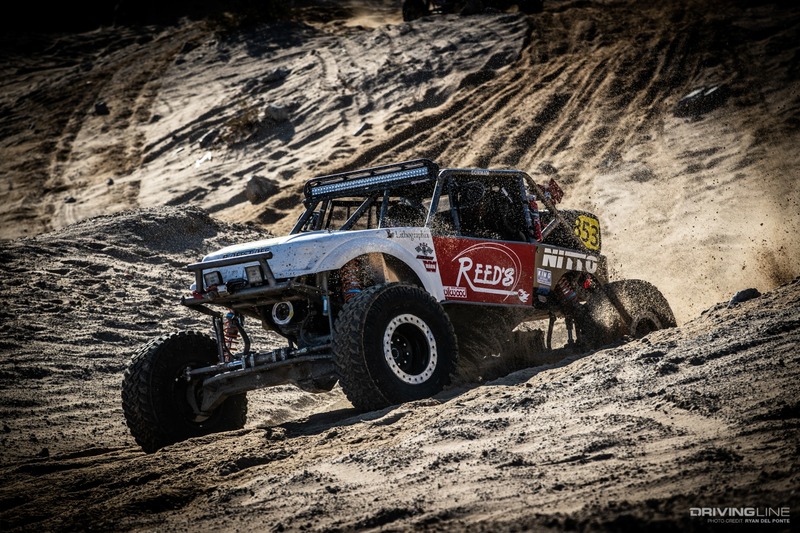 Casey had a clean day with no major issues and crossed the finish line on his Nitto Trail Grapplers looking as clean and composed as someone having just finished 162 grueling miles can (watch Casey's end-of-race interview here). Casey Gilbert won the class for the 2nd straight year and was the first finisher across the line. Brad finished 2nd and team Nitto driver Bailey Cole powered his way through the field to take 3rd. Jason Bunch was in 4th and Mike Johnson rounded out the top five. The first five cars across the line were all Legends cars this year. Jimmy Jack. One of the coolest names and one of the coolest racers in the field. Jimmy is always competitive and always a top-class sportsman. He would be going against last year’s overall winner and class champ Dan Fresh, as well as renewing his battle with last year’s nemesis Matt Howell. With wife Amy Jack in the car to help focus and navigate the race, it was on. Jimmy, Matt, Dan, and Justin Hall soon became the front quartet that pulled away from the rest of the 4500 pack. Giving and taking, they pushed themselves hard. Matt Howell was the first to succumb to attrition and was out of the race. Dan Fresh took the lead with Jimmy and Justin hot on his heels. Going into the rocks, it was still a battle for first, even with adjusted time. 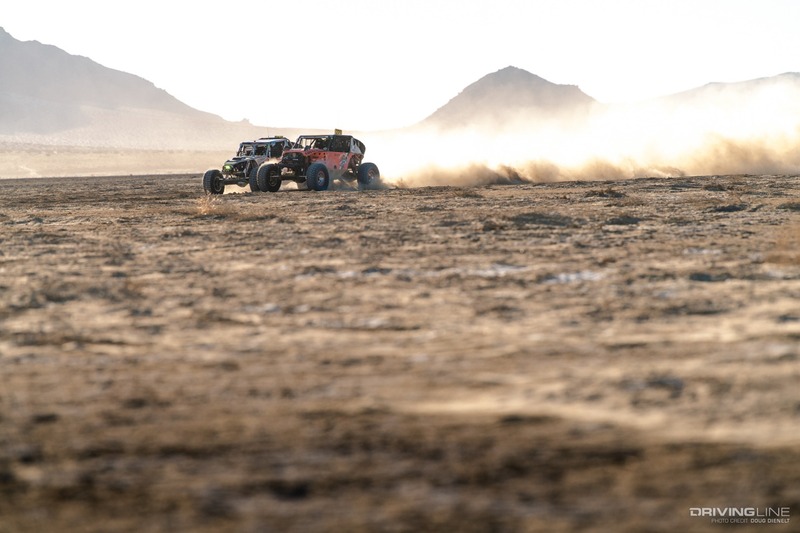 The cars pushed and banged their way up Outer Limits and down Spooners to hit the last big desert stretch to the end. Coming to the very last rock section, Dan lost power and couldn’t climb the final hill. Jimmy Jack, battling for 1st, showed his exceptional sportsmanship and pushed Dan’s car up the hill, then let it roll through the Jeep arch and across the line for the finish. Jimmy almost was kind to a fault, because as the adjust time numbers were tallied, he had beat Dan for his first Modified class victory by only three seconds! The next car across the line and in 3rd place was Justin Hall, another seasoned racer and skilled rock crawler. Congratulations to Jimmy and Amy Jack and team Nitto for the victory. Easily the most difficult class in Ultra4 racing, these guys have the passion and heart for greatness. 35-inch tires, severely restricted shock options, and tight body modification rules make it difficult but fun. 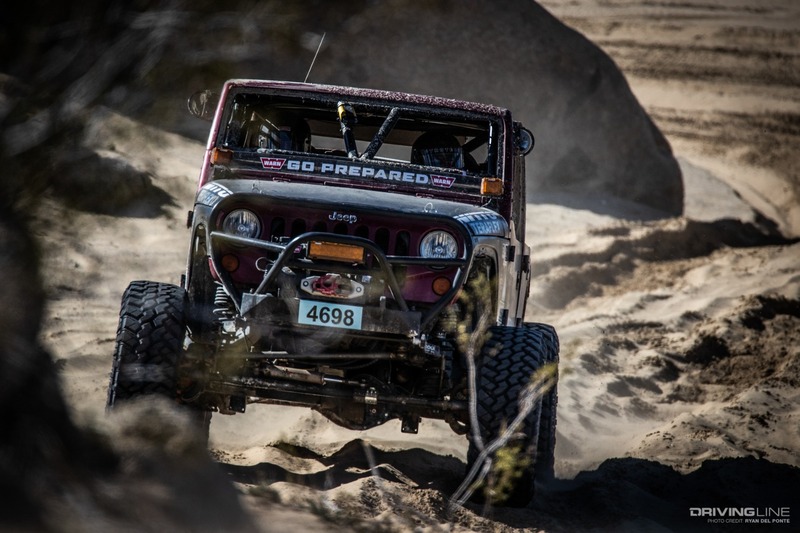 Extra attention was on the race this year as Jeep pulled a surprise move and added a 2020 Gladiator to the mix just weeks before the race. 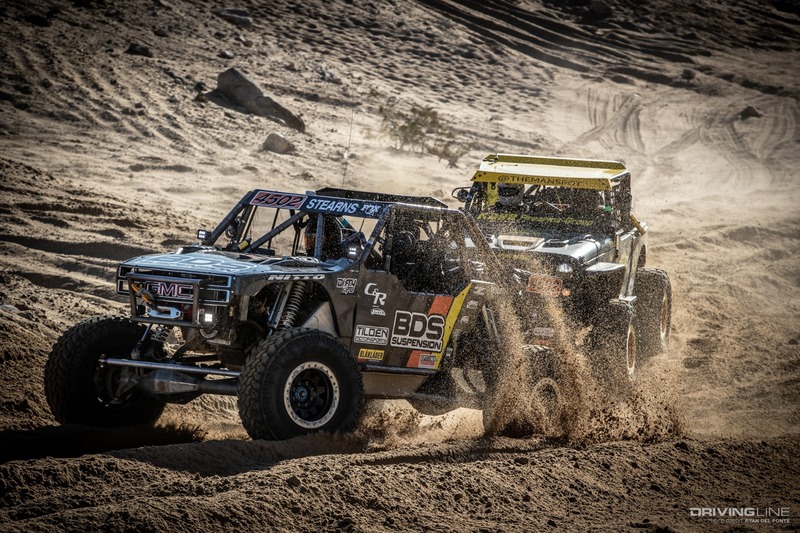 T1 truck legend Robbie Gordon would be driving the first desert lap while two-time King and team Nitto driver Erik Miller would take the new Jeep truck through the rocks. The field was a mix of old school and new school with Jeep Cherokees, Grand Cherokees and Wranglers as the dominant vehicles, but old school leaf sprung Toyotas and old trucks make the field one of the most diverse of the day. With the Stock class starting at the rear of the pack, Poor Boys Racing took the lead away from Robbie Gordon in the Gladiator within minutes. Teams pushed across the Lakebed, into Cougar Butte and back home to Hammertown for lap one. Attrition started taking its toll and the stock class cars continued to move into the rocks. This class ran most of the rock trails as the others, but took bypasses for a couple of key areas that could not be navigated competitively on 35-inch tires. The first car across the line was Justin Reece in his 30-year-old leaf sprung Toyota pickup. Strong and steady all day, this is Justin’s first victory in the EMC in the Stock class. Justin was followed by Alex McNeil in 2nd and Josh Attenbury gutted out a third. All the stock class cars pushed hard as there is typically only one or two cars that finish in time. As time was running out, two more crossed the finish line. 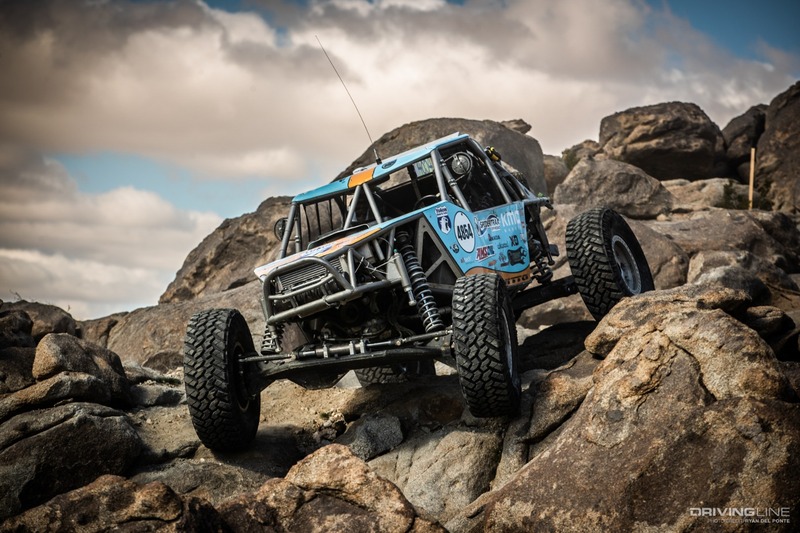 Erik Miller had taken the Jeep Gladiator all the way through the rocks and across the line for a KOH finish! Of the 180 total miles on the truck, 168 of them were from Qualifying and the EMC race. Crowd favorite John Mackiewicz with Hack Shack racing rounded out the top five. Of the 28 cars in stock class, only five finished the race in time. Congratulations to Justin on the incredible victory. The EMC kicks off three straight days of intense racing. 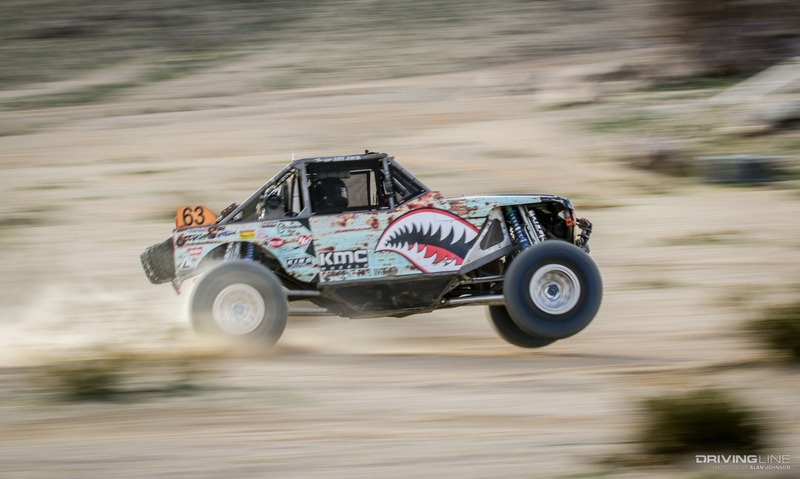 Be sure to catch the main event on Friday, featuring the Nitto Tire King of the Hammers powered by Optima. It will be the biggest and best yet with $125,000 on the line. If you are in the area, come on out—for everyone else, all the awesome action is captured in Ultra4's livestream. 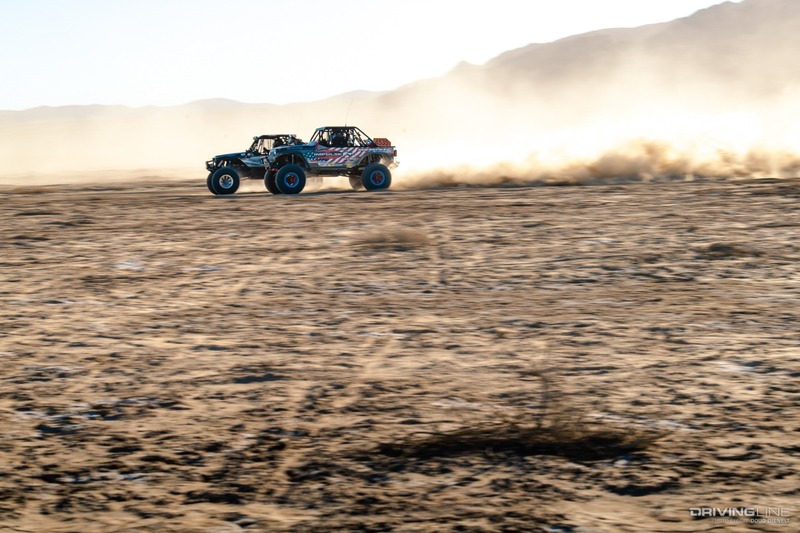 We’ll see you on the Lakebed. Get all of the KOH action! 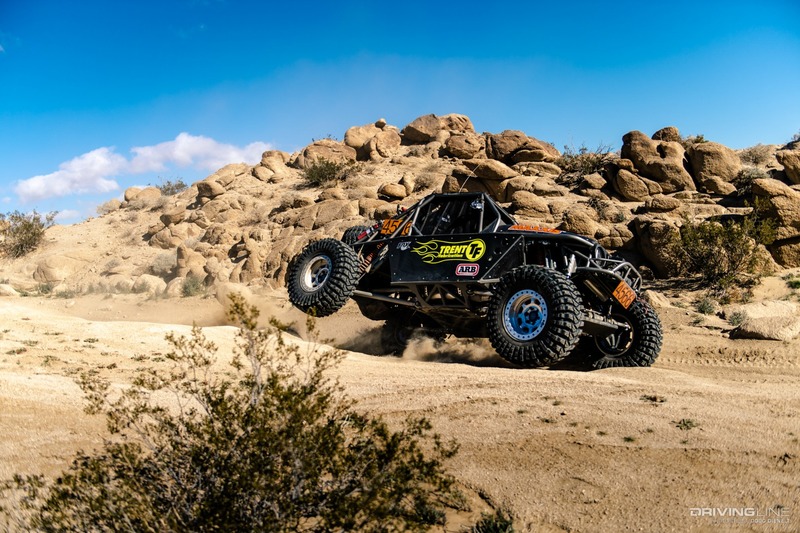 Catch our full KOH 2019 coverage here.